Microsoft on Tuesday released 16 software updates to fix more than 60 security holes in various flavors of Windows and other Microsoft products. Adobe also has security patches available for Flash Player, Acrobat and Reader users. As per usual, most of the critical flaws — those that can be exploited by malware or miscreants without any help from users — reside in Microsoft’s Web browsers Edge and Internet Explorer. 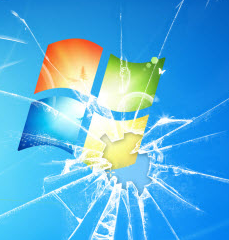 This week’s patch batch addresses two flaws of particular urgency: One is a zero-day vulnerability (CVE-2018-8589) that is already being exploited to compromise Windows 7 and Server 2008 systems. The other is a publicly disclosed bug in Microsoft’s Bitlocker encryption technology (CVE-2018-8566) that could allow an attacker to get access to encrypted data. One mitigating factor with both security holes is that the attacker would need to be already logged in to the targeted system to exploit them. Adobe and Microsoft each released security updates for their software on Tuesday. 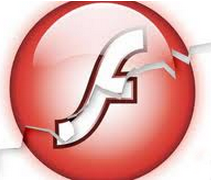 Adobe plugged five security holes in its Flash Player browser plugin. Microsoft pushed 17 updates to fix at least 60 vulnerabilities in Windows and other software, including two “zero-day” flaws that attackers were already exploiting before Microsoft issued patches to fix them. According to security firm Ivanti, the first of the two zero-day flaws (CVE-2018-8373) is a critical flaw in Internet Explorer that attackers could use to foist malware on IE users who browse to hacked or booby-trapped sites. The other zero-day is a bug (CVE-2018-8414) in the Windows 10 shell that could allow an attacker to run code of his choice. Microsoft also patched more variants of the Meltdown/Spectre memory vulnerabilities, collectively dubbed “Foreshadow” by a team of researchers who discovered and reported the Intel-based flaws. For more information about how Foreshadow works, check out their academic paper (PDF), and/or the video below. Microsoft’s analysis is here. One nifty little bug fixed in this patch batch is CVE-2018-8345. It addresses a problem in the way Windows handles shortcut files; ending in the “.lnk” extension, shortcut files are Windows components that link (hence the “lnk” extension) easy-to-recognize icons to specific executable programs, and are typically placed on the user’s Desktop or Start Menu. Microsoft today pushed out a bevy of software updates to fix more than four dozen security holes in Windows and related software. Almost a quarter of the vulnerabilities addressed in this month’s patch batch earned Microsoft’s “critical” rating, meaning malware or miscreants can exploit the flaws to break into vulnerable systems without any help from users. Most of the critical fixes are in Microsoft browsers or browser components. One of the flaws, CVE-2018-8267, was publicly disclosed prior to today’s patch release, meaning attackers may have had a head start figuring out how to exploit the bug to attack Internet Explorer users. According to Recorded Future, the most important patched vulnerability is a remote code execution vulnerability in the Windows Domain Name System (DNS), which is present in all versions of supported versions of Windows from Windows 7 to Windows 10 as well as all versions of Windows Server from 2008 to 2016. Security vendor Qualys says mobile workstations that may connect to untrusted Wi-Fi networks are at high risk and this DNS patch should be a priority for them. Qualys also notes that Microsoft this month is shipping updates to mitigate another variant of the Spectre vulnerability in Intel machines. Microsoft today released a bundle of security updates to fix at least 67 holes in its various Windows operating systems and related software, including one dangerous flaw that Microsoft warns is actively being exploited. Meanwhile, as it usually does on Microsoft’s Patch Tuesday — the second Tuesday of each month — Adobe has a new Flash Player update that addresses a single but critical security weakness. First, the Flash Tuesday update, which brings Flash Player to v. 29.0.0.171. Some (present company included) would argue that Flash Player is itself “a single but critical security weakness.” Nevertheless, Google Chrome and Internet Explorer/Edge ship with their own versions of Flash, which get updated automatically when new versions of these browsers are made available.